Rustic Mortar With Healing Herbs And Bottles With Essential Oil.. Stock Photo, Picture And Royalty Free Image. Image 41533188. 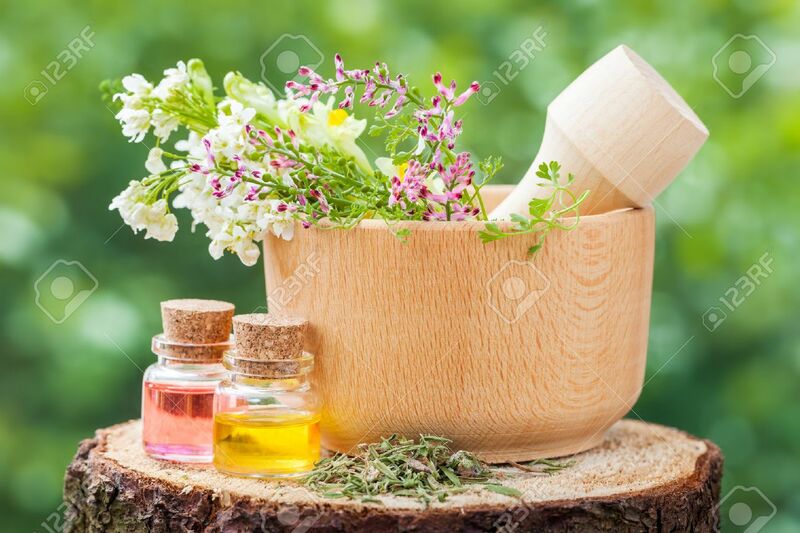 Stock Photo - Rustic mortar with healing herbs and bottles with essential oil on wooden stump outdoors. Rustic mortar with healing herbs and bottles with essential oil on wooden stump outdoors.